This week we sat down with new Dublin Senior Camogie manager Frank Browne to discuss his new appointment, his background, his first competitive game last weekend and much, much more. Frank is a native of Wexford, born and reared in the middle of Wexford town. He now lives in Ballyhaunis in Mayo, his work as an air traffic controller brought him to Knock Airport in the early 90’s, he met his wife in Mayo, got married and settled down in The Yew County. Frank may be recognisable to some as he had two stints as the Mayo Senior Ladies Football manager, something Frank says he really enjoyed. “I had two stints in 2007 and then 2015, 16 and 17, a brilliant time, you know what, as a little boy I got to live the dream. I got to be in Croke Park on All Ireland Final day, you know absolutely brilliant, only problem was we got beaten, but look it’s all part of the experience, it’s all part of the journey. 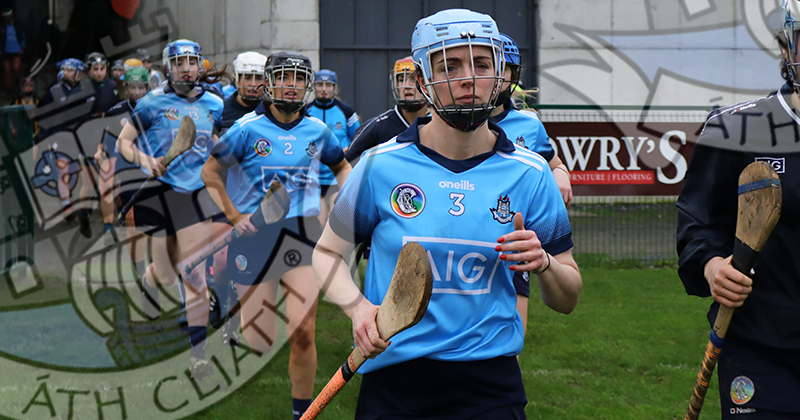 “One of the real things I’m enjoying about Dublin Camogie is in someways I’m going back to my roots, I’m going back to hurling, I’m going to the small ball game and I have to say I find it easier in someways because I suppose what I knew about ladies football and gaelic football I was learning, I had to learn about it, but it’s very kind of instinctive and very natural for me for hurling. With Frank living in Mayo it’s a long trek to Dublin a couple of times a week for training and then also to the matches at the weekends so what was it that attracted Frank Browne to the Dublin job. “First of all I was going back to hurling, that’s the first thing, the second thing was… I just saw huge potential, I saw a chance here to win, you know I remember looking back to my time with the Mayo ladies, I remember for the local parish magazine I wrote an article called ‘chasing the dream’ and by the end of it you know what, I wasn’t chasing the dream, I was actually living the dream and it’s the same here. Frank and his team had their first competitive outing of the year against Kilkenny last week in the national league and although they didn’t get the result they wanted, there were plenty of positives to take from the game. For Frank Browne, although there are areas to work on, one of the main things he was happy about in last weeks game was the attitude of his players. “Maybe we ran out of legs, we had to invest so much energy into the first 45 or 50 minutes, but we are not even out of January so we have plenty of time to work on those things and maybe that’s the little learning for us. “But that to me sums up attitude and heart, attitude is a really hard thing to measure and I think ours was really good. We had plenty more discussion with the very astute and likeable Frank Browne and the full interview is in the attached video above, well worth a look.